Good Monday everyone! 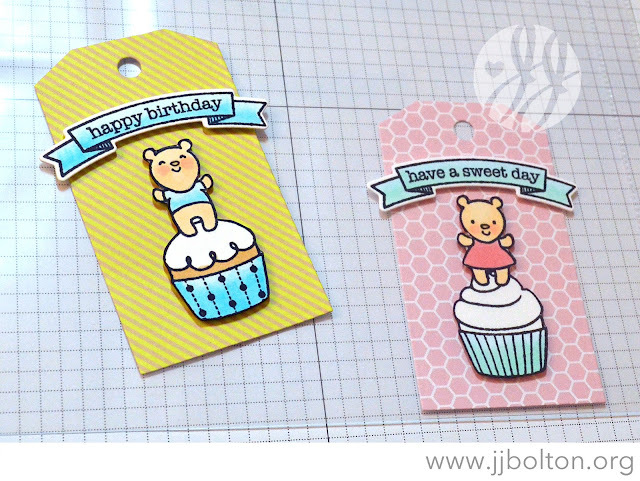 Over the summer, I was lucky to get a package from the folks over at the The Greeting Farm and I just wanted to share a couple tags I made with the Always a Party and Make a Wish clear stamps and coordinating dies sets. Aren't these little bears the cutest? 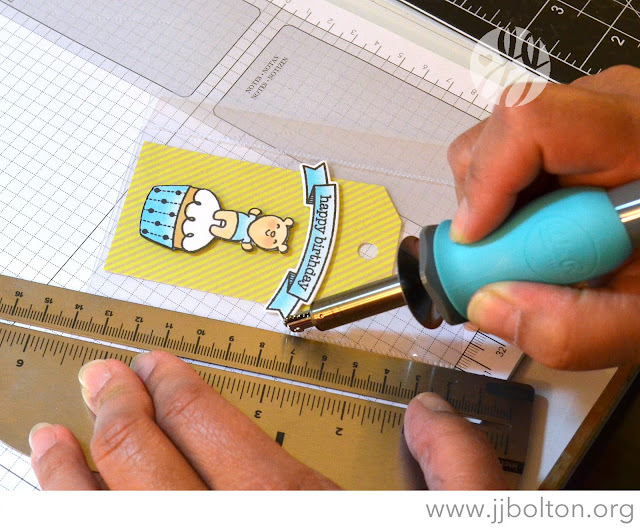 Then I took the Fuse tool and the ruler and created a seal down both sides of the tag. [FYI, I used the "fuse" tip as opposed to the seal tip for the Fuse tool. It's a matter of personal preference, but I like that stitched look.] I left the top open so I could fill the shaker with various types of sequins and glitter. Then I sealed the top of the tag (followed along the shape of the top of the tag). This was so much fun! That's it for me today! Thanks for stopping by today and thanks to The Greeting Farm for the chance to work with such fun stamps and dies! BTW, if you stop by and pick up anything at The Greeting Farm, use the code "JJB10" for 10% off. These are adorable, JJ! I love the critters. Plus, you're really making me want a Fuse.... ;) Awesome tags! That fuse tool is really calling my name! Adorable tags! You are so clever, JJ! I love how you colored these adorable bears and how you created the 'Shakers'...so cute! What a great idea, love those cute little critters! 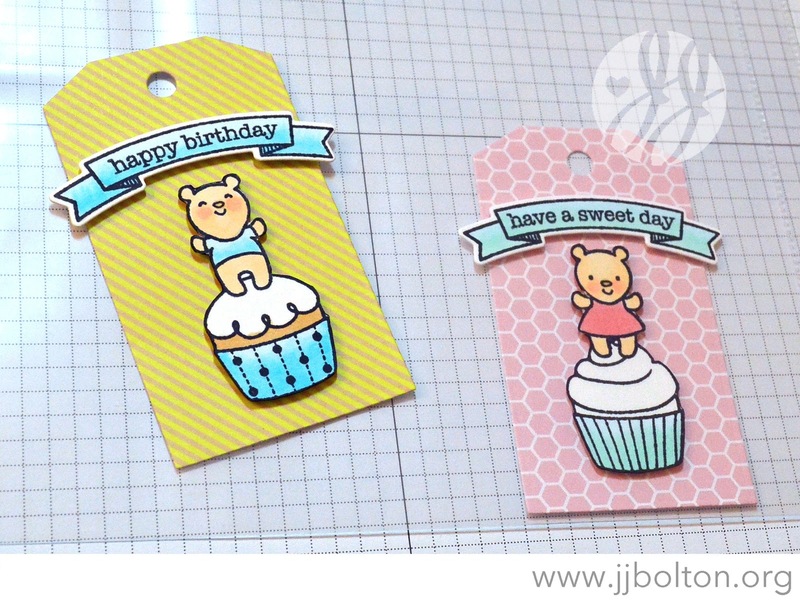 wow you are so creative...what a fabulous idea for these adorable bear tags!